ANSI Labels are not just for workers. They are for safety inspectors as well. A range of size options gives you freedom to place these labels in any type of setting, from a machine itself to a wall or on a product. 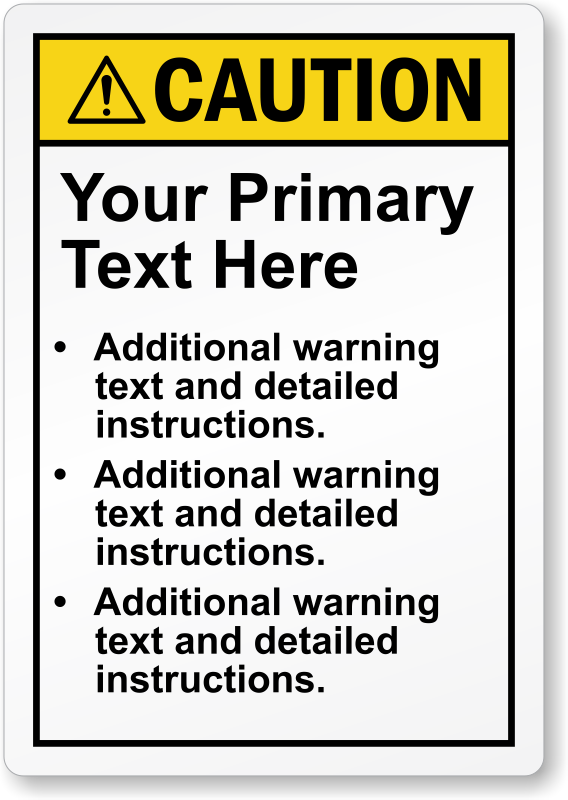 Custom ANSI Caution Label is easy to create. Just add your primary message and safety message, and you're done.